tomorrow’s lunch has two HKs wearing bunny costumes. a sweet bento pal sent me the hats and bows pick set over the summer, and after seeing a few great HK bentos by sheri where she used these bows, i’ve been saving them up for my interpretation of our favorite sanrio kitty friend! 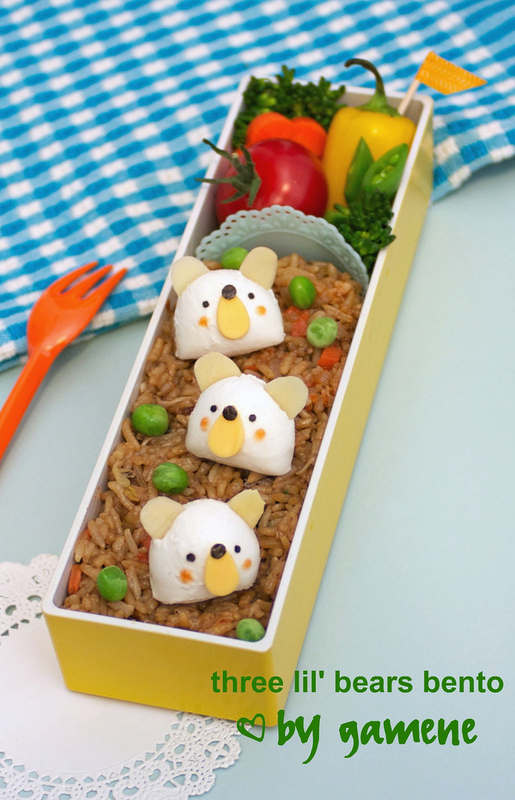 the faces are made from cheese, nori, sesame seeds, and yellow soy paper, and the bunny costumes are made from pink egg sheet. i used lia’s fab tutorial for making the egg sheet — straining is the key to a smooth texture! the rest of my lunch consists of several nice-sized pieces of the battered cod we made for saturday night dinner (after a trip to a local fish market), steamed broccoli, a few steamed purple potato slices, and the usual mini-pepper and vine tomato. there is a small container of tartar sauce for the fish that isn’t pictured here. 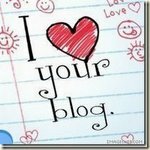 the bento4japan auctions are still going strong — we have raised more than $2000 since we started! 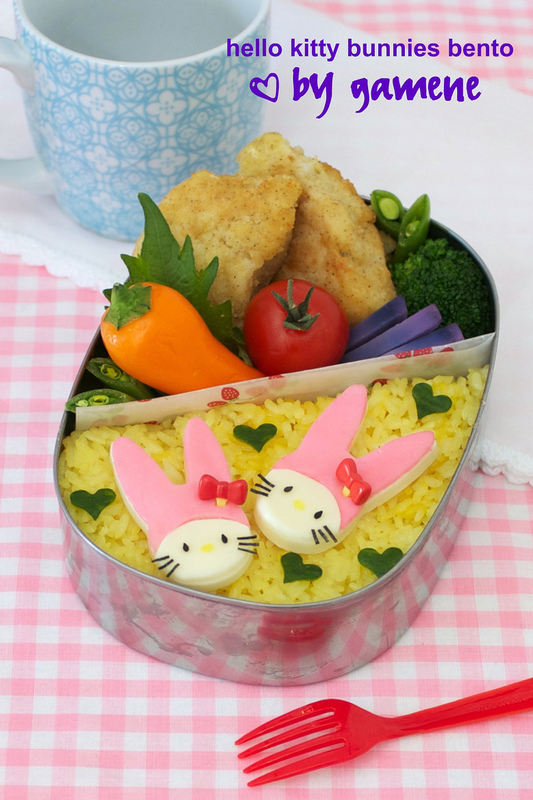 new items are still being added regularly, including generous donations from our favorite online bento vendors… like this adorable shinzi katoh snack-sized box from kir devries! such a sweet design from a well-known japanese zakka artist… if you don’t bid on it, i just might, haha! also, just bento’s maki recently posted about the flow of information regarding the japanese disaster, the importance of responding rationally, and ways to help. this is a great (and important) read, so please check that out too. 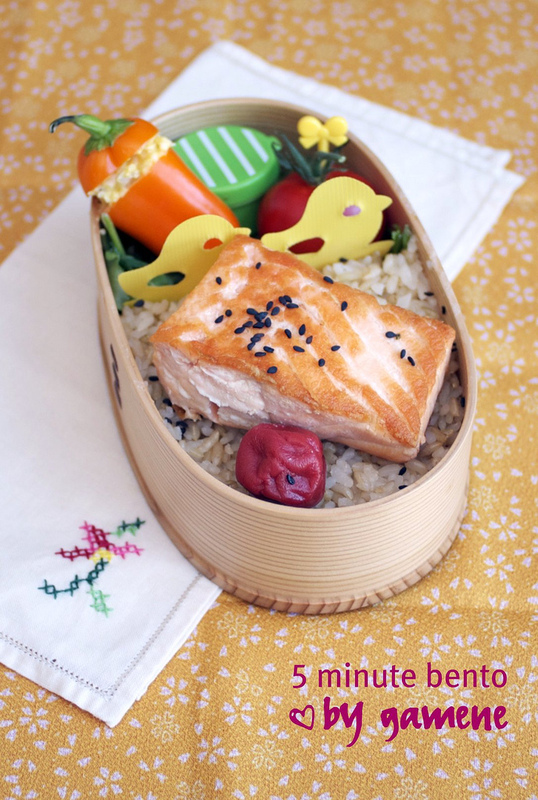 tomorrow’s bento in a magewappa box has two onigiri filled with flaked salmon. i mixed the salmon with chimichurri sauce (a new favorite in my household for serving with salmon — it’s so flavorful!) and mayo and then stuffed the rice, which was a blend of short-grain white and long-grain brown (texmati). the onigiri are topped with blossoms made from cheese and steamed purple potato — they look familiar to me but i can’t place them. cherry blossom? plum blossom? let me know if you have a guess! the rest of the box has a steamed broccoli floret, a mini red pepper, a star-cut carrot, a roasted shitake mushroom, some slices of takuwan, a few pea pods, and a pretty sakura pick. i’m trying to stick to a posting schedule of tuesdays-through-thursdays, with no bento on fridays because of a whole bagel-breakfast-which-turns-into-leftovers-for-lunch extravaganza that we have in my department on a weekly basis. so, have a great weekend and i’ll see some of you on twitter in the meantime! i’m baaaaack! no promises for daily posting, but i feel refreshed and ready to get back on the proverbial bento horse. tomorrow’s lunch was relatively quick and easy — leftover fried rice from m noodle shop, three mozzarella ball bears with almond ears, cheese muzzles, nori noses and eyes, and ketchup cheeks, some steamed broccolini, a steamed carrot flower, a pretty mini-pepper and another israeli vine tomato. this sturdy and slender box was a holiday gift from my parents, and is still available on bento & co. if you’re in the mood for bento shopping, though, why not head over to ebay and run a search for “bento4japan“? the same box (in turquoise) is among the many lovely items being auctioned to raise funds to help victims of the earthquake and tsunami… if you want to help the cause, bid early and bid often! 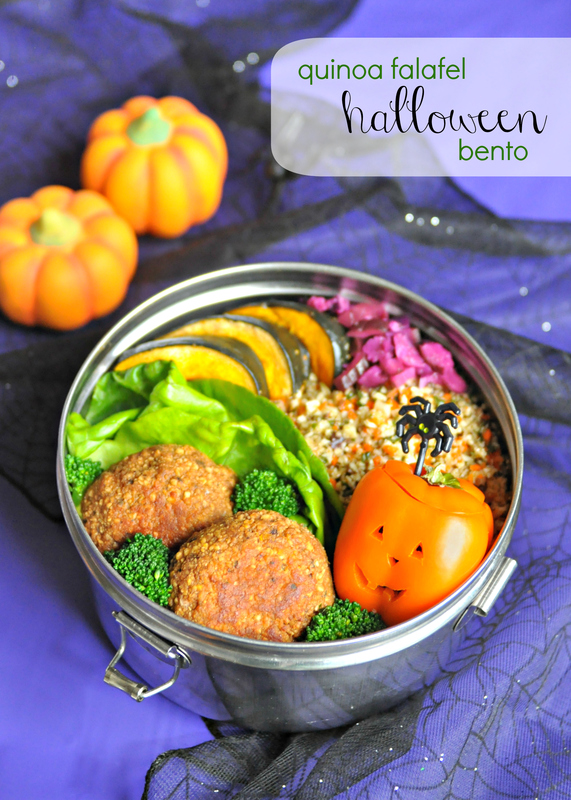 hi bento pals! i know, it’s been forever since i last posted. i won’t bore you with my excuses and the changes to my schedule that have resulted in mornings where i often throw some pitiful leftovers in a tomato-stained plastic container (the kind you get free with takeaway food) and call it “lunch” — suffice it to say i am still adjusting to the new job/commute/office situation and am looking for ways to get bento back in my life. 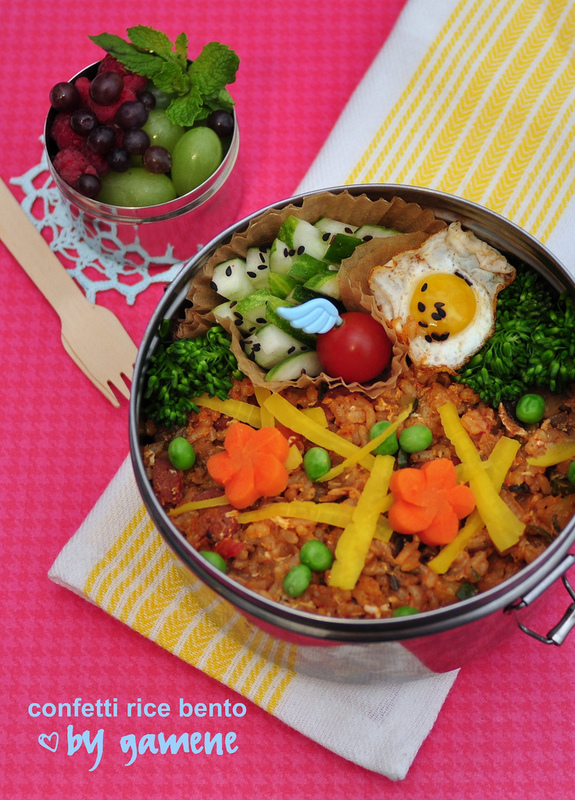 one way i may be able to do that is with speed-packed bentos. i’ve gone back to the basics here, relying on some of the original tips i learned from biggie’s lunch in a box site way back when i first started bentoing. the main portion of today’s lunch is just brown rice, a small piece of leftover salmon (i actually cut this lunch-sized portion off of the filet before i cooked the fish to prevent the jagged edge and flakiness that often happens when you cut a cooked filet — i cooked it all at the same time, and immediately refrigerated the lunch portion), and an umeboshi. the other section has a baby pepper stuffed with egg salad, an israeli vine tomato, and a container of chimichurri sauce (what i originally served over the salmon), all sitting on a bed of arugula. nothing cutesy here (save for the quick addition of a pick and a baran — but i mean no punching or decorating with tweezers, no faces, etc. ), but i am looking forward to a yummy and semi-traditional lunch. this is also the first time i’m using this beautiful magewappa box that a friend recently brought back for me from a business trip to japan. it’s fairly similar to this model from bento & co., and it’s divine — thanks, yasu! 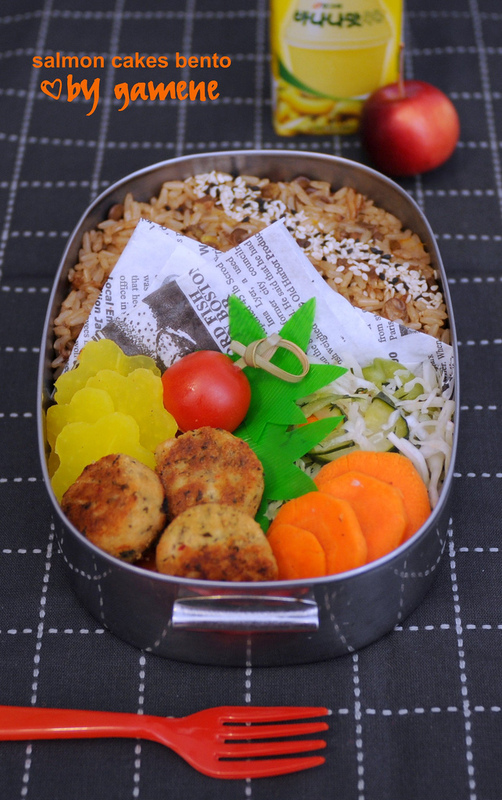 another super simple bento for tomorrow’s lunch: mini salmon cakes (from the frozen section at my organic market), brown rice with lentils and a black-and-white sesame seed stripe, “health salad” (cabbage, cucumbers, peppers, carrots and dill wilted in a light vinegar dressing, almost like a mayonnaise-less coleslaw), a few takuwan flowers, and a cherry tomato. banana ooyoo and a lady apple for dessert. 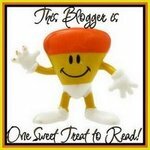 tomorrow after work, i’m meeting up with joe mcpherson of zenkimchi, one of my favorite food blogs. he’s in NYC after giving a presentation on buddhist temple cuisine, and hosting a meet-up for other foodies — we’re gonna grub down in K-town (which means bento-able leftovers, yay!). if you’re interested in joining us, check out the facebook page and RSVP! tired work nights call for quick, easy meals; it’s no surprise that fried rice is one of my favorites. this batch has everything but the kitchen sink (leftovers from the last few weeks of summer produce): red and yellow peppers, serrano chiles, mushrooms, kosher hot dogs, spanish onion, kimchi, and zucchini, plus freshly-ground black pepper, soy sauce, gochujang, and a bit of sesame oil for flavor. the boyfriend hates peas and carrots, so i added a few of those, plus some takuwan strips, on top (rather than mixing in, which would mean he couldn’t pick them out) — i think the scattered effect looks a bit like festive confetti. the rest of the box has steamed broccolini, cucumber sticks sprinkled with black sesame seeds, a fried quail egg, and a grape tomato. for dessert, i have a sidecar with green and champagne grapes, plus beautiful early-fall raspberries from my CSA share, garnished with a bit of mint. that’s it; no fancy decorations this time (save for one pick), just a quick transformation of leftovers into a reasonably appealing lunch for tomorrow. i need to take ruby on one more walk tonight, and then i’ll probably fall asleep watching the giants game. 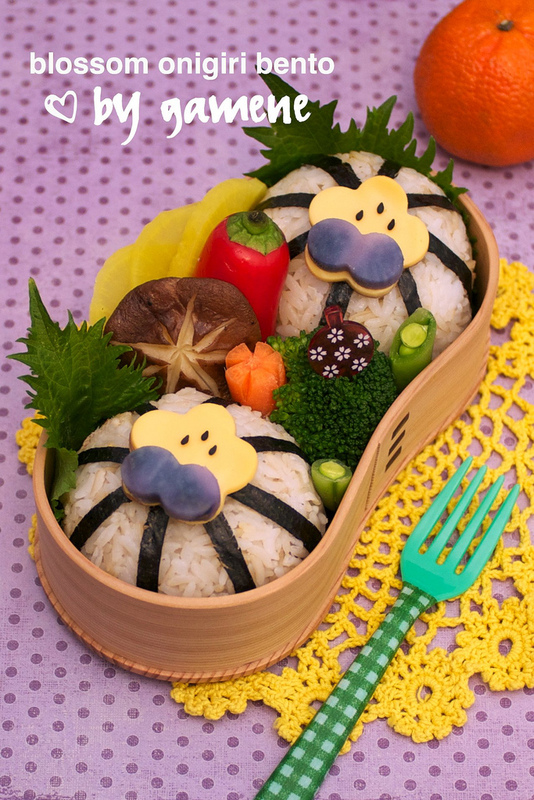 g’night bento pals!